We're Expanding Beyond Harvard Extension School! We're having a successful run with Harvard Extension School students for the last several years, and will continue to do so. We're excited to announce that a new version of TheDegreeTracker will be able to plan out and track completion of course requirements for any school by allowing students to enter in their own degree requirements and completed courses. If you're a student, educator, or administrator and would like to learn more about how The Degree Tracker can work for you, enter your email below (we won't share your email or use it for any other purpose). Success! We'll drop you an email when we're ready to launch! Failure. Please enter a valid email or contact customer support. 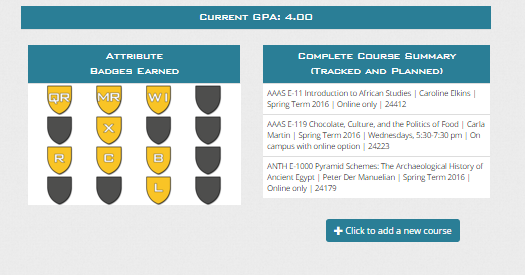 After using TheDegreeTracker, you will be amazed at the ease you can plan out and track your HES degree. TheDegreeTracker will allow you to visualize your ALB or ALM degree from start to finish, even allowing you to add a minor for undergrads or a certificate for graduate students. 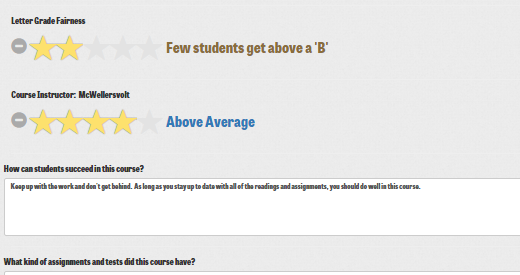 The course reviews are also a great feature. I remember how I spent literally days trying to figure out how to fulfill the requirements for ALB in the most efficient way, so that I can take as many CS classes as I can (including those not taught by HI) and fulfill other requirements in reasonable time. a forum for Harvard Extension School Students! Chart your degree from start to finish. Plan out every course you intend to take, down to the semester, day, and hour. 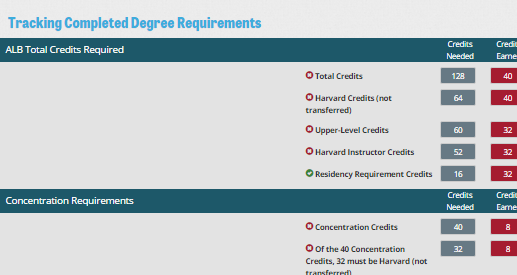 Explore alternate ways that degree requirements could be fulfilled. See what your future GPA will be under various conditions that you create. 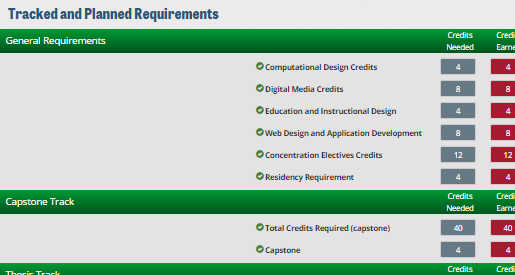 Maximize the kinds of courses that you want to take. Graduate on time with no unpleasant surprises. Search course reviews to learn what you really want to know about the courses that interest you. Review your courses with our unique criteria to help other students. Network with other students who have left reviews previously. Our course review criteria was invented by multiple Harvard Extension School students who told us what they wanted to know about HES courses. Keep track of every single degree requirement with our user-friendly interface. Earn a badge every time you fulfill an HES requirement. See how you are progressing towards a field of study, one minor or even two, or a certificate in addition to your degree. Store it all in the cloud in an organized fashion that's easy to work with. Access your HES plans anywhere with TheDegreeTracker's mobile-friendly design. The data you enter gets backed up every hour in our system, hosted by an industry leader. Enjoy a free 1‑week trial. 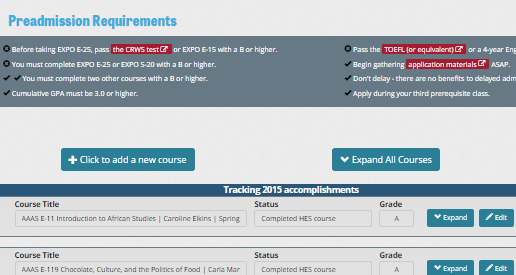 Create each course you will take at HES. ...Plan out how your future courses will fulfill all remaining requirements. 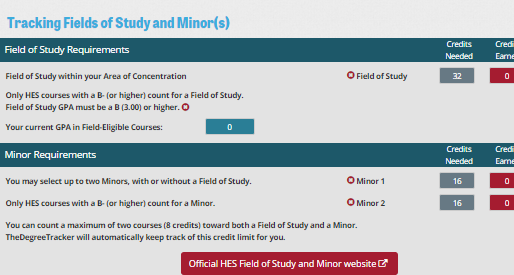 Track and plan your pathway to a Field of Study, a Minor or two. 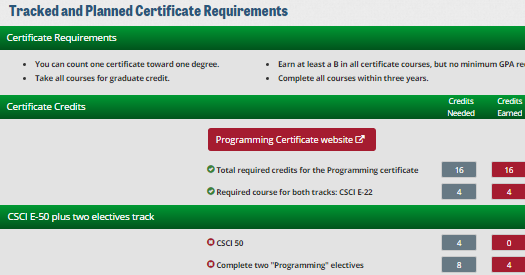 Easily keep track of certificate requirements. 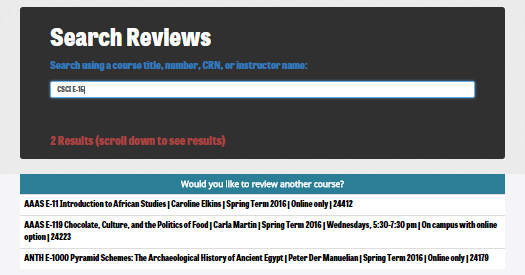 Search course reviews and contact previous reviewers who opt in. Create course reviews with our student-developed criteria. The dashboard overview gives you a birds-eye summary at HES. 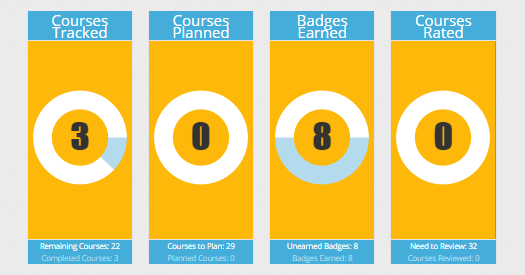 Badges are rewarded for fulfilling degree requirements. You must exercise caution, good sense and sound judgment in using this Site. 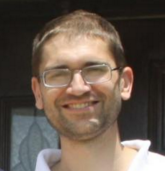 You are prohibited from violating, or attempting to violate, the security of this Site. Any such violations may result in criminal and/or civil penalties against you. Mid-South Web Development, LLC. reserves the right to investigate any alleged or suspected violations and if a criminal violation is suspected, we will cooperate with law enforcement agencies in their investigations. The content on this Site, including without limitation all text, graphics, photos, videos and sounds contained on this Site, (collectively, the "Materials") are owned by or licensed to Mid-South Web Development, LLC., subject to copyright, trademark and other intellectual property rights under United States and foreign laws and international conventions. No Materials from this Site may be copied, reproduced, republished, uploaded, posted, transmitted, or distributed in any way without the prior written permission of Mid-South Web Development, LLC., except that you may use any information made available for downloading from this Site, provided that you (1) keep intact all copyright and other proprietary notices, (2) use such information only for your personal, non-commercial purposes and do not copy or post such information on any networked computer or broadcast it in any media, (3) make no modifications to any such information, and (4) do not make any additional representations or warranties relating to such information. Modification of any Materials or use of any Materials for any other purpose is a violation of the copyrights and other proprietary rights of Mid-South Web Development, LLC. or its licensors. Permission for all uses of Materials except as provided above must be obtained from Mid-South Web Development, LLC. in advance. Requests for such authorization should be submitted via email to mydegreetracker@gmail.com. All design rights, compilation and other intellectual property rights associated with this Site, in each case whether registered or unregistered, and related goodwill, are proprietary to Mid-South Web Development, LLC. This Site is controlled and operated by Mid-South Web Development, LLC. from our offices within the State of Mississippi in the United States. Mid-South Web Development, LLC. makes no representation that materials in the Site are appropriate or available for use in other locations. Those who choose to access this Site from other locations do so on their own initiative and are responsible for complying with applicable local laws. If you do not know or are in any doubt as to whether the website can be lawfully used by you, you should not use this Site for any purpose. Access to this Site from jurisdictions where the contents of this Site are illegal or penalized is prohibited. Due to the nature of the internet, if you are visiting this Site from a country other than the United States, your use will result in the transfer of information across international boundaries; by using this Site you consent to such transfers. Mid-South Web Development, LLC. may terminate your use of this Site at any time and for any reason without notice, including for conduct violating these Terms. Upon any such termination, you must destroy all Materials obtained from this Site and all copies thereof. The provisions of these Terms concerning Site security, prohibited activities, intellectual property, unsolicited ideas, disclaimer, limitation of liability, indemnity, jurisdictional issues, and disputes shall survive any such termination. THE MATERIALS ON THIS SITE ARE PROVIDED "AS IS" AND WITHOUT WARRANTIES OF ANY KIND EITHER EXPRESS OR IMPLIED. TO THE FULLEST EXTENT PERMISSIBLE UNDER APPLICABLE LAW, Mid-South Web Development, LLC. DISCLAIMS ALL WARRANTIES, EXPRESS OR IMPLIED, INCLUDING, BUT NOT LIMITED TO, IMPLIED WARRANTIES OF MERCHANTABILITY AND FITNESS FOR A PARTICULAR PURPOSE. Mid-South Web Development, LLC. DOES NOT WARRANT THAT THIS SITE OR THE MATERIALS WILL BE ERROR-FREE, THAT DEFECTS WILL BE CORRECTED OR THAT THIS SITE OR THE SERVER THAT MAKES THE SITE AVAILABLE ARE FREE OF VIRUSES OR OTHER HARMFUL COMPONENTS. Mid-South Web Development, LLC. DOES NOT MAKE ANY REPRESENTATIONS OR WARRANTIES REGARDING THE USE OF THE MATERIALS ON THIS SITE IN TERMS OF THEIR CORRECTNESS, ACCURACY, RELIABILITY OR OTHERWISE. APPLICABLE LAW MAY NOT ALLOW THE DISCLAIMER OF IMPLIED WARRANTIES, SO PART OF THE FOREGOING MAY NOT APPLY TO YOU. TO THE EXTENT PERMITTED UNDER APPLICABLE LAW, UNDER NO CIRCUMSTANCES SHALL Mid-South Web Development, LLC. BE LIABLE FOR ANY COMPENSATORY, PUNITIVE, SPECIAL, INDIRECT, OR CONSEQUENTIAL DAMAGES THAT RESULT FROM THE USE OF, OR THE INABILITY TO USE, THIS SITE OR THE MATERIALS ON IT, EVEN IF Mid-South Web Development, LLC. HAS BEEN ADVISED OF THE POSSIBILITY OF SUCH DAMAGES. APPLICABLE LAW MAY NOT ALLOW THE LIMITATION OR EXCLUSION OF LIABILITY SUCH DAMAGES, SO THE ABOVE EXCLUSION MAY NOT APPLY TO YOU. You agree to indemnify, defend and hold Mid-South Web Development, LLC. and its directors, officers, employees, agents and contractors harmless from and against any and all claims, damages, losses, costs (including without limitation reasonable attorneys' fees) or other expenses that arise directly or indirectly out of or from (i) your breach of any provision of these Terms; or (ii) your activities in connection with this Site. This Site is not intended for children under the age of 13, and Mid-South Web Development, LLC. does not seek through this Site to gather personal information from or about persons under the age of 13. By using this Site, you affirm that you are 13 or older and possess the legal right and ability to create binding obligations for any liability you may incur as a result of the use of this Site. By choosing to visit this Site or otherwise provide information to Mid-South Web Development, LLC., you agree that any dispute over your use of this Site or these Terms will be governed by the laws of the State of Mississippi, without giving effect to any principles of conflicts of law. You also consent to the adjudication of any disputes arising in connection with our Site in the federal and state courts of Tippah County in Mississippi. If any provision of these Terms is unlawful, void or for any reason unenforceable, then that provision shall be deemed severable from these Terms and shall not affect the validity and enforceability of any remaining provisions. If you have any questions regarding these Terms, please submit your inquiry to mydegreetracker@gmail.com with TheDegreeTracker™ in the subject line. We will work diligently to respond to you promptly. TheDegreeTracker™ / Mid-South Web Development, LLC. 10 Stone Pl, Ripley, MS 38663, mydegreetracker@gmail.com.